In our last post, we provided information for small businesses to become acquainted with the applicable export regulations and to identify potential issues that may arise when exporting goods from the U.S. We hope that we have sensitized you to the fact that even a small business may have to be concerned about export control rules and regulations. 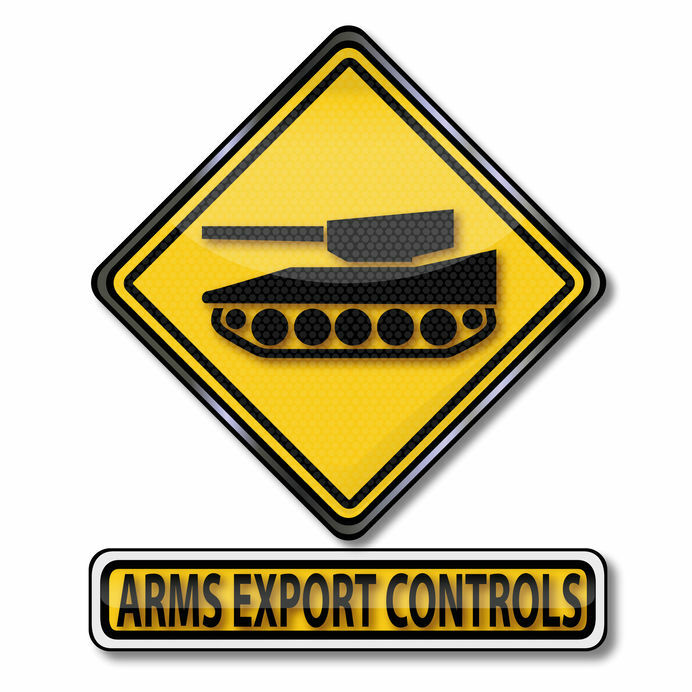 In this post, we discuss International Traffic in Arms Regulations (ITAR), which deals with arms export controls. Not many small business owners are exporting weapons as such, but as we discuss in this article, even components that may be used in weapons may fall under the ITAR. ITAR regulates the export, reexport, retransfer, and brokering of ITAR-controlled defense articles (hardware), technical data (technology including software), and defense services. Companies unfamiliar with U.S. export controls sometimes make the mistake of assuming that U.S. export restrictions apply only to exports of hardware from the United States. That is not the case. If hardware or technology is subject to the ITAR, their reexport from, or retransfer within, a foreign company is also subject to the ITAR restrictions. In addition, certain activities related to such ITAR-controlled hardware and technology may also be subject to the ITAR. For example, brokering activities or providing defense services may also fall under the ITAR. Is the hardware or technology controlled under ITAR? As you would probably expect, ITAR-controlled military items are subject to more stringent export controls than EAR-controlled commercial items. As a result, companies should always review ITAR first to determine whether the hardware or technology is subject to ITAR before reviewing Export Administration Regulations (EAR). Contained within the ITAR is the United States Munitions List (USML). The USML is subdivided into 21 separate categories that describe various types of military hardware, ranging from firearms and missiles, to military aircraft, submersibles, and spacecraft. In addition, each USML category controls technical data and defense services directly related to defense articles. If the hardware is described in the USML, it is an ITAR-controlled defense article. As is probably of no surprise to you, certain items such as tanks, F-35 stealth bombers, and laser guided missiles are obviously military items controlled under ITAR. But ITAR controls several other types of items that you may not assume would be controlled as a military defense article. In addition to major end-items or systems such as tanks or aircraft, each USML category also controls specified subsystems, parts, components, accessories and attachments. As a result, companies often discover that certain parts and components that can be used for commercial applications may nevertheless be controlled under ITAR because those parts and components also have military applications. For example, certain sensors or specific integrated circuits are subject to ITAR. If a company’s hardware or technology is subject to ITAR, the company will need to register with State Department’s Directorate of Defense Trade Controls (DDTC) as a manufacturer and/or exporter of defense articles and renew their registration annually. Registration entails completing a registration form that identifies, among other things, the company’s owners, senior officers, related companies, and product and service offerings. Registrants pay an annual fee (starting at $2,250) that varies depending on the number of licenses obtained, and have a few affirmative obligations, such as notifying DDTC about material changes to its registration information within specified time periods. DDTC registration is required for manufacturers, exporters and brokers of defense articles, technical data and defense services. DDTC registration is a prerequisite for obtaining ITAR export or brokering authorization (for example, a license) or making use of an ITAR license exemption. If the company’s hardware or technology is subject to the ITAR, the company will also need authorization from DDTC to export the goods anywhere outside the U.S. except under limited circumstances where an ITAR license exemption is available. The likelihood of obtaining the required authorization from DDTC will vary depending upon the particular hardware/technology involved, the intended destination, end-use, and end-user. If you are thinking of exporting to North Korea or Iran, you should definitely consult with an export control lawyer before doing so. DDTC defines the term “export” broadly, applying it not only to exports of tangible items (hardware or hard-copy technical data) from the United States, but also to releases or transfers of intangibles, such as electronic technical data (email) or software to foreign persons, even if those releases or transfers occur in the United States. For example, transfers of ITAR-controlled technical data by a U.S. company to its foreign person employee inside the United States would be considered an “export,” which would require prior DDTC authorization under most circumstances. Deemed exports could occur through any number of circumstances, including email, over the phone, or during in-person meetings where technical data is discussed. 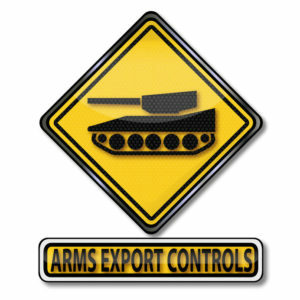 Even if you have a small business, if you are thinking of exporting arms or weapons, or anything that goes into arms or weapons, then you should consult with an export control lawyer. In this post, we have summarized the major provisions of the International Traffic in Arms Regulations. In the next post, we will discuss the Export Administration Regulations (EAR).